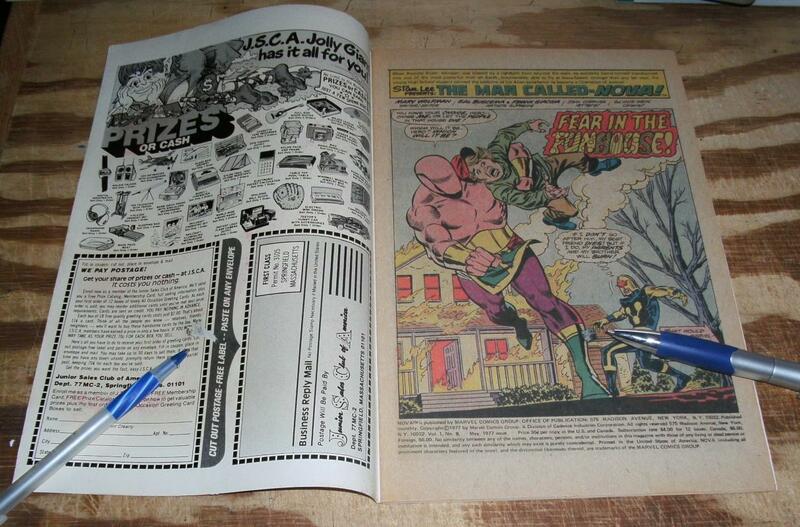 Tiny color flakes inside front cover and title page (pens point to in 3 photo). 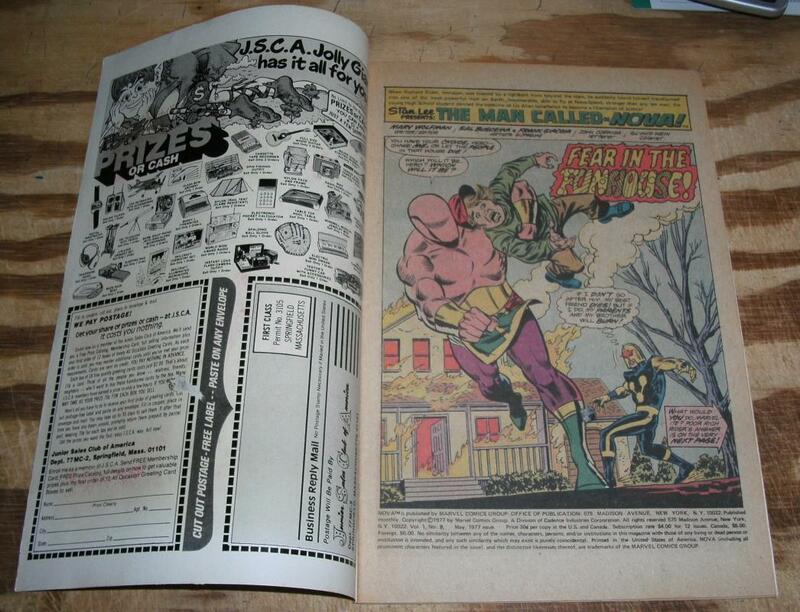 "Fear in the Funhouse!" 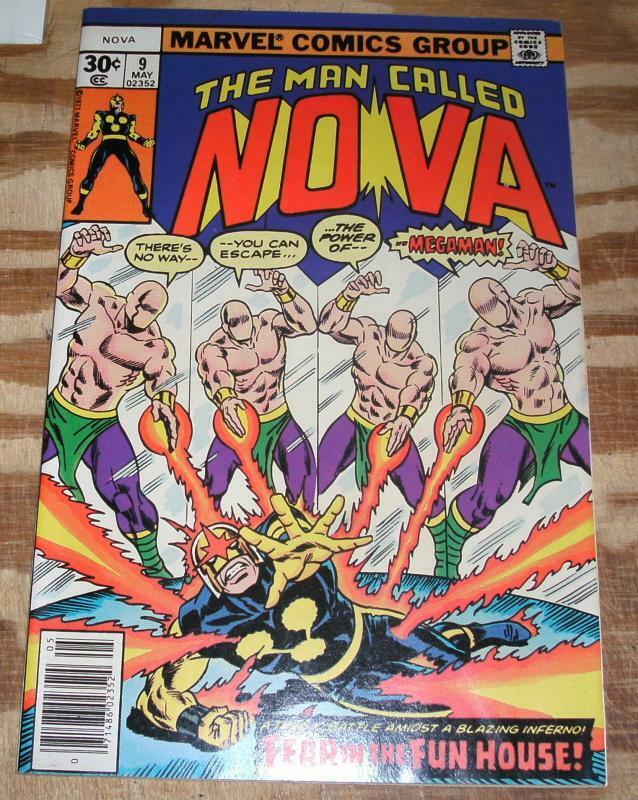 Items Similar To "The Man Called Nova #9 near mint 9.4"